The HTC flagship smartphone series has been called the One for three generations. Codenamed M7, M8 and M9 to tell one generation from the next, each beyond the first have even had A and E variants (A8, A9, E8, and E9). But for this generation, HTC decides that it won’t be calling its flagship the One M10. Instead, we have the HTC 10. And with the change in naming conventions, comes a massive change in design language as well. To start with, the most obvious change would be the aggressively chamfered edges around the phone. There is still a slight curve to be had around the back, and the camera lens bulges slightly, making the phone a little thicker than it needs to be. On the flip side, however, is a phone that is really comfortable to hold in your hand, and looks more aggressive that what you’d usually expect from HTC when left to its own devices. 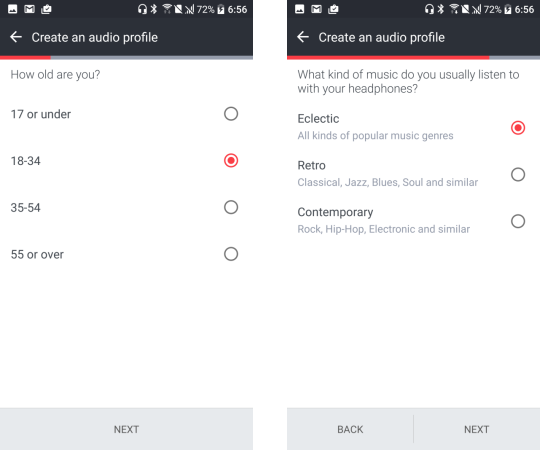 Still with design changes, you are probably aware that HTC has always had a pretty unique (and good) built-in speaker configuration: two front-facing ones instead of rear-facing ones. This has seen a slight change in this latest iteration - the bottom speaker has been moved to the bottom edge, right next to the charging port. 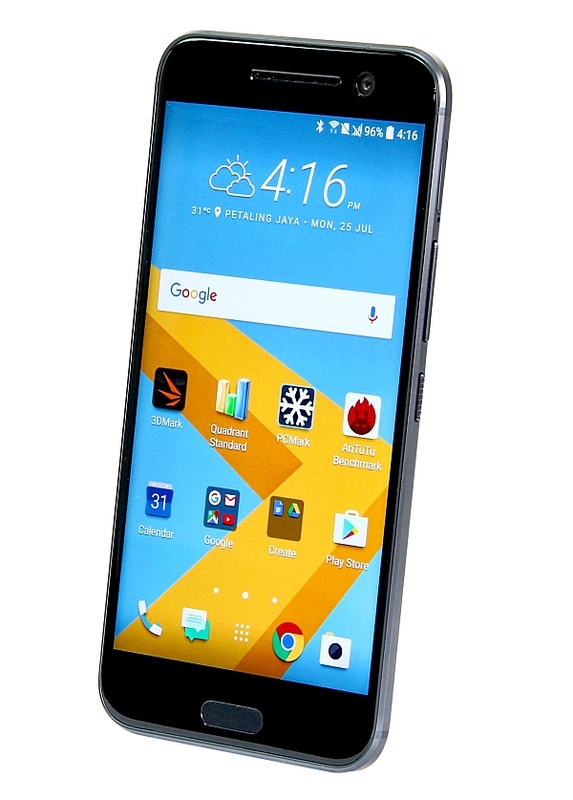 This tones its speaker's performance down a notch, but the HTC 10’s strength on the audio department lies not with the speakers, but with its built-in BoomSound with Dolby Audio technology. More on that later. Back to the relocation of the bottom speaker, this was done to make way for the new fingerprint sensor, which doubles as a home button. There is quite the obvious dip on the front panel where the home button is, and it feels as distinctly different as it looks. That said, it works perfectly fine, unlocking with good accuracy in less than half a second. Since we mentioned the charging port earlier, it is also worth mentioning that HTC has joined the list of USB Type-C adopters. This means that it will go a lot faster while charging and transferring files (the latter provided you have the hardware to make it work). 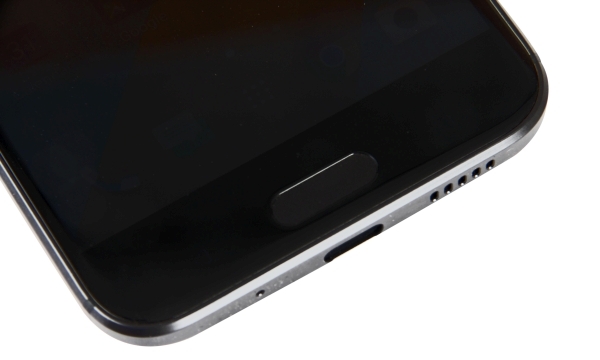 All others remain pretty standard: you have the volume rocker and power button on the right (the latter having an indented, jagged texture), the Nano-SIM slot above them, and the microSD slot on the other end. Accessing the latter two would necessitate the use of an eject tool, which HTC has kindly provided in the box. Now with the exterior covered, let’s dive into the user interface. 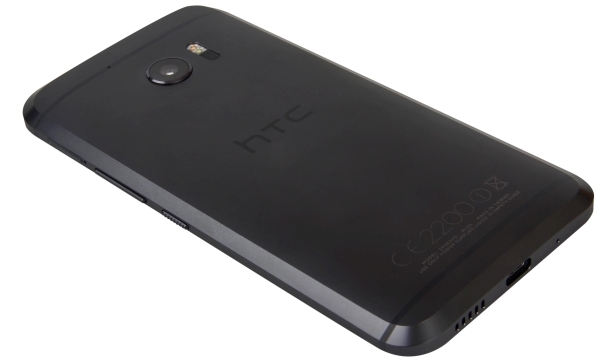 The HTC 10 comes with Android 6.0 Marshmallow, along with the eighth iteration of the HTC Sense overlay. And the result is pretty great, simply because HTC Sense 8.0 is pretty bloatware-free. This translates to a very smooth experience as you scroll from one page to the next on the home screen, and on any app that you might be using. 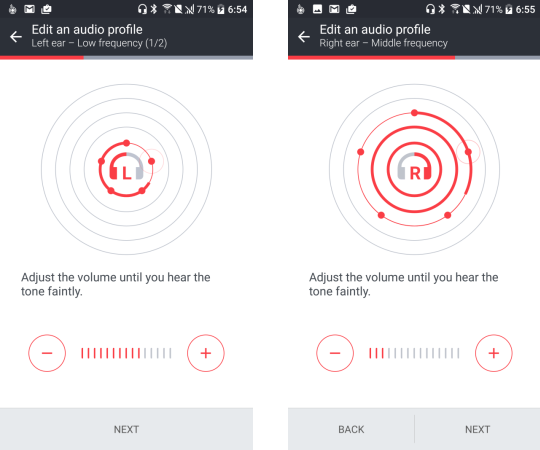 But the real software magic lies with HTC BoomSound with Dolby Audio. By default, it comes with Theater mode and Music mode, for self-explanatory uses. Plug in a pair of headphones and the real magic begins. You'll get prompted to set up a sound profile, and are given two methods to do so. 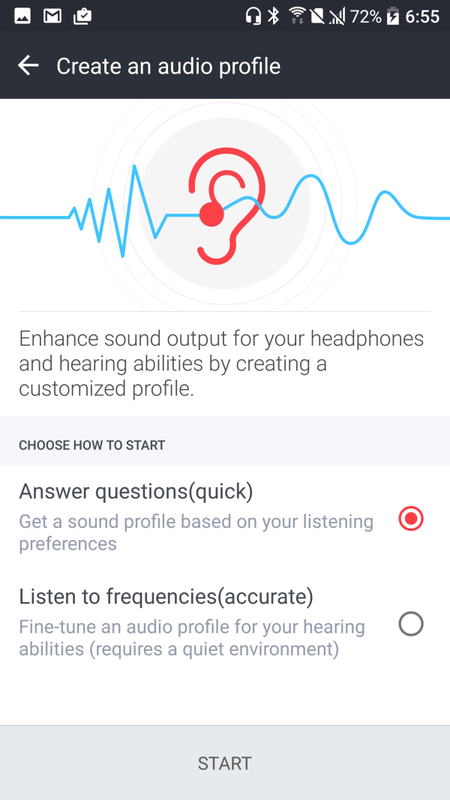 One is the simpler method where you are asked a few simple questions, and the phone determines what kind of sound profile would best suit you based on your answers. The other, more accurate method would have you listen and calibrate the lows, mid and highs for both the left and right output yourself. And the result is simply phenomenal. As you do the calibrating yourself, you can set the sound profile to whatever you like, be it bass heavy or vocal highlighting. 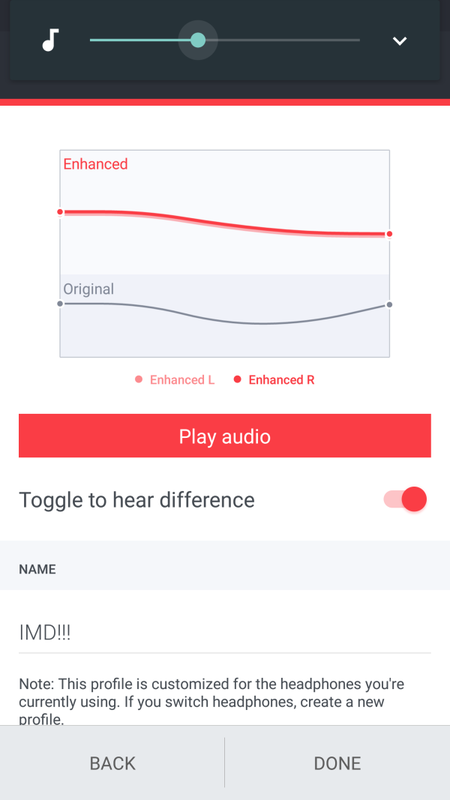 If you have headphones that are skewed to one side of the sound spectrum and you decide that you don’t it that way, being in control of the sound profile will also allow you to somewhat mitigate that, to a certain extent. Before we go further, we’d like top point out that HTC has very kindly provided us with the HTC Ice View cover for the HTC 10. Like most smart covers, this allows you to do a number of things without actually needing to unlock your phone, and it’s pretty much gotten the basics covered. Without even flipping the cover open, you can use gestures to check on notifications and launch the camera app.